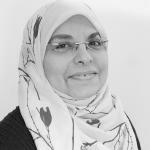 Zeinab El Maadawi is a professor (on leave) at the faculty of medicine, Cairo University where she works as medical educator, biomedical researcher & e-learning manager. She developed evident experience in international education management in higher education & international development cooperation through multilateral development projects that addressed health education, science communication, e-learning capacity development, and Sustainable Development Goals (SDGs) orientation. She is passionate about using the added value of emerging technologies to promote access to quality education & learning for all. Her expertise in technology enhanced learning includes e-learning management, instructional design, content development, tutoring of virtual communities & quality management of online environments. She is also interested in new & emerging technologies that are used to link health care delivery, medical education & biomedical research. She has been featured as a “Techwomen Emerging Leader” by the USA Department of State, an “Arab American Frontiers Fellow” by the US National Academies of Sciences, Engineering and Medicine, and a “Leader in Innovation Fellow” by the UK Royal Academy of Engineering. Currently, she is in charge of conceptualization, organization & management of e-learning strategy at UNU-EHS in addition to research & teaching in the field of educational technologies & management of e-learning-related projects.